Nikon 1 J4 sensor review: Serious entry-level contender? 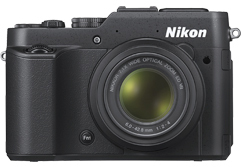 After the announcement of the flagship Nikon 1 V3 the company revealed a new less expensive model sharing many of the features, including the 18-Mpix CX format (1-inch type) sensor with an improved hybrid AF system including 105 on-chip phase-detection points covering most of the frame, and new Expeed 4 level processor. Read on to find out how well this new model performs. Sony has launched a new model in its RX range of high-end compacts. Boasting a new faster lens, built-in pop-up viewfinder and large 1”-type sensor, with a 20.1Mp resolution, is the new Sony RX100 III the ultimate point and shoot camera? Nikon 1 V3 sensor review: Ahead by design? After the initial interest surrounding the original Nikon 1 V1 and the somewhat lackluster follow-up to that in the form of the Nikon 1 V2, the firm has introduced, arguably, the most exciting looking and capable model yet, the Nikon 1 V3. Read on to find out how this reimagined model performs. Following the firm’s successful RX100 II model Sony has introduced the RX10, a bridge type camera featuring a 20-Mpix 1-inch format sensor with a constant f2.8 aperture 24-200mm equivalent from Zeiss. Read on to find out how this intriguing model performs. Canon PowerShot S120 review: Pocket marvel? Featuring a more compact body and a smaller zoom, Canon’s PowerShot S120 is the latest iteration of the popular alternative to the firm’s PowerShot G series. Read on to see how well it performed our labs.